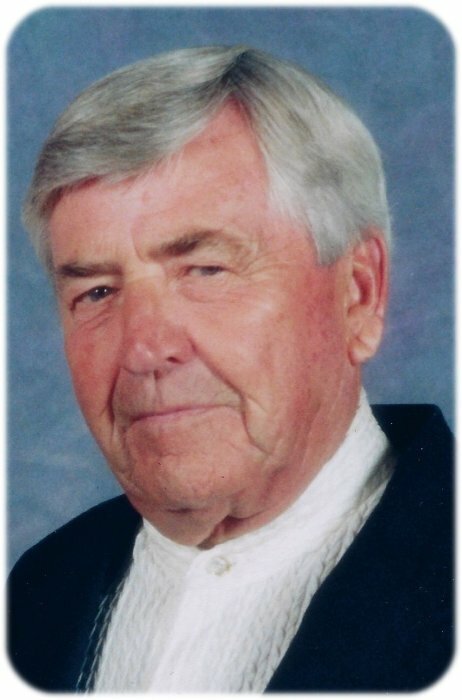 Harlin Percy Elseth of Albert Lea, Minnesota, quietly passed away on July 9, 2018, surrounded by his wife and children. His family invites relatives and friends to attend his memorial service at Bayview/Freeborn Funeral Home at 11:00 a.m. on Monday, July 16, 2018. Pastor Kent Otterman will officiate. Military Honors will be accorded by local veteran’s organizations. Friends may greet the family one hour prior to the service at the funeral home on Monday. A luncheon reception will follow at 1:00 p.m. at Green Lea Golf Course in Albert Lea. Online condolences are welcome at www.bayviewfuneral.com. The fourth of seven children, he was born on September 28, 1926, to Bernhard and Minnie (Nelson) Elseth of Strandquist, Minnesota. Harlin attended school in Newfolden, Minnesota, graduating from Newfolden High School in 1944. The highest-ranking boy in his class, he received a Prize Scholarship from the State Council of Minnesota Colleges. Instead of attending college, Harlin followed his two older brothers into the military, serving in the U.S. Army from April 1945 to November 1946. He reached the rank of Sergeant E-5 in the 82nd Airborne Division, 325th Glider Infantry Regiment. On September 25, 1948, Harlin married the love of his life Betty Verna Engelsrud. As he recently wrote, they “had an interesting and wonderful life together.” Among their many proud accomplishments during their 70 years of marriage, Harlin and Verna raised four children and started three successful businesses. Harlin began his career in 1947, when he joined Land O’Lakes in Thief River Falls, Minnesota, as a cashier. During his 25 years with the company, he worked as an accountant, office manager and plant manager, eventually helping to launch and manage the company’s egg division. His work with Land O’Lakes took Harlin, Verna and their growing family to establish homes in Lakefield, Fridley and Albert Lea, Minnesota. In 1973, Harlin formed his own egg processing and distribution business, Elseth Eggs, Inc., which he owned and operated in Lakefield for 18 years. While there, he and Verna purchased Loon Lake Golf Course in Jackson, Minnesota, which they operated from 1979 to 1985. After selling both businesses, Harlin and Verna retired to Albert Lea, where they had purchased Green Lea Golf Course. Harlin remained a shareholder until his passing. In their retirement, Harlin and Verna owned two homes in Punta Gorda, Florida, where they enjoyed their winter months with family and friends. They were also fortunate to travel to many of the United States, the Bahamas, Canada, Norway and the Panama Canal. A man of many interests, Harlin was an avid reader, particularly of American and world history. He served as Commander of the American Legion’s Ecklund-Holmstrom Post 117 in Thief River Falls in 1956 and as president of the Lakefield Chamber of Commerce. Among other pastimes, he enjoyed boating, golfing and working with stained glass. In 2011, Harlin joined nine other WWII veterans on the Southeastern Minnesota Honor Flight to visit the National WWII Memorial in Washington, D.C. A highlight of his trip was the opportunity to meet and shake hands with one of his heroes, Senator Bob Dole. Harlin was preceded in death by his parents, his brothers Lester Elseth and Basil Elseth and his sisters Lorale Swenson and Marlys Swanson. He is survived by his loving wife Verna, his children Connie Waks (Frank), Corrine Chessick, Jeffrey Elseth (Denise), and Kristine Riess (Dale). He is also survived by his grandchildren—Michael, Jennifer, Adam, Eric, Kelly, Ryan, Blake and Paul; his great-grandchildren—Stella, Ronan, Cutler and Jessamy; and his brothers Gerald Elseth and Bernie Elseth. Harlin felt privileged to live for 91 years and to have enjoyed the love and company of his wife Verna, his family and his many friends throughout the years. He was a wonderful man—loving, honest, hardworking, and always dedicated to his family and responsibilities. He will be missed.